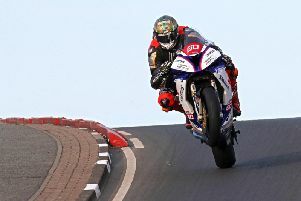 Guy Martin last rode at the Isle of Man TT in 2017 during a short-lived racing comeback with Honda. Regarded as the best rider never to have won at the Isle of Man TT, Guy Martin has ruled out a return to the Mountain Course. The Grimsby man last raced at the event in 2017, when he was fortunate escape serious injury following a high-speed crash at Doran’s Bend during a short-lived racing comeback with Honda. 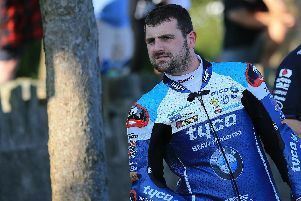 Grimsby's Guy Martin has ruled out ever competing at the Isle of Man TT again. A podium finisher 17 times at the TT, a coveted victory ultimately eluded Martin, who has no wish to race competitively again at the world renowned motorcycling spectacle. According to the man himself, he would rather ‘spend a day at Monkey World’ with his family than take on the challenge of the TT again. “People still ask me why I don’t go back, and when they do they’re just showing a complete lack of understanding of the motivations involved in competing at a place like that,” said Martin in his fourth autobiographical book, We Need to Weaken the Mixture, which is due to be released in paperback in May. The 37-year-old, who has a provisional entry for the Cookstown 100 in the Classic race this month, said he now prefers spending time with his partner, Sharon, and daughter, Dot. “The years I raced there might define me to some people, but it’s not what defines me to myself and it hasn't for years,” Martin writes.